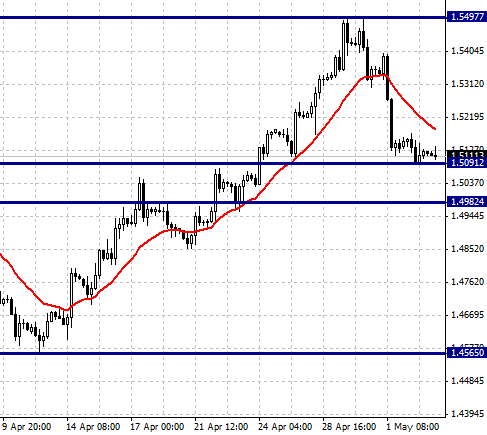 Sell on a level breakthrough of 1.5091 with 1.4982 target. Stop loss = 1.5150. This afternoon, the business activity index in the UK construction sector will be published. The decline from 57.8 p. to 57.6 p. expected in April may put some pressure on the pound. The breakthrough of the local support level of 1.5091 will serve as a signal for opening short positions on the pound.